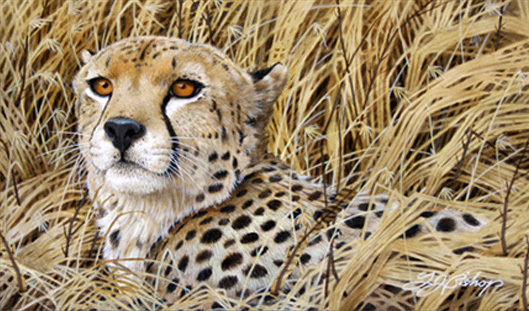 Most often when we think of a Cheetah, it’s of an animal pursuing its prey at an eye blurring pace…their ability to chase down a gazelle at 70 mph places them at the top of the list at fastest of all land animals. Although exhilarating and spectacular to watch these chases only last for a few moments due to the fact that they demand so much energy. 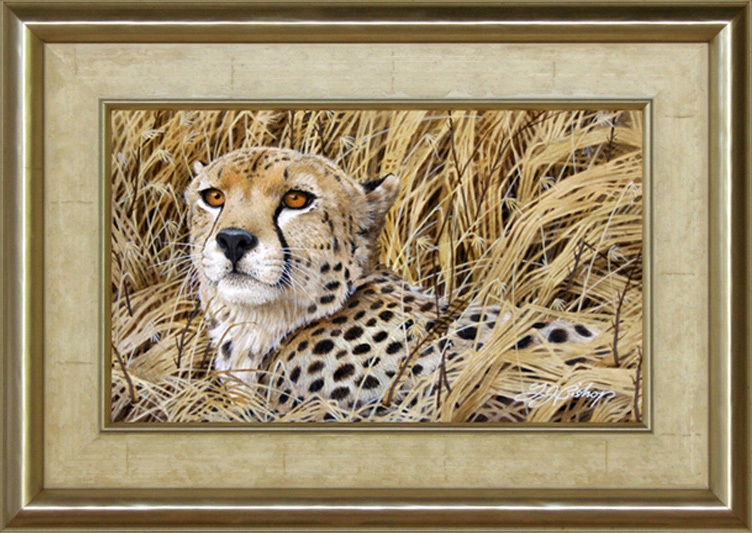 The remainder of the time the this worlds speed record holder can generally be found perched high atop a termite mound watching for prey…or, as I painted this cheetah, secretly lounging in the savanna grass where their spotted coat allows them perfect camouflage.